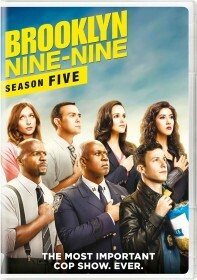 You are viewing a list of Christopher Michael's 2 appearances on Brooklyn Nine-Nine. When a foreign president's motorcade is delayed and the Captain and Terry leave for a meeting, Jake launches the "Jimmy Jab Games". The co-workers battle each other in a series of challenges around the precinct. Jake places a bet with Rosa to get the phone number of her attractive friend, but she wonders whether he still has feelings for Amy. Meanwhile, Captain Holt and Terry travel to One Police Plaza to request funding for a new drug task force from Holt's nemesis, Deputy Chief Wuntch. When Terry refuses to lend Jake any more money, Jake uncovers Sergeant Jefford's secret, and the squad decides it's high time Jake paid them all back. Meanwhile, Amy the Captain work together on the Brooklyn Broiler case.